As a girl who loves to cook, I’m always dreaming about how cool it would be to have my own cafe or a place to sell all of my goodies. A hip little lunch spot. That might be the reason I get so excited about food trucks. Someone making their best goodies and selling them out of a moving kitchen. It can’t get any cooler than that! Nashville has become well known for it’s food trucks. One of the easiest ways to keep up with your favorite food trucks is an App called NFTA. 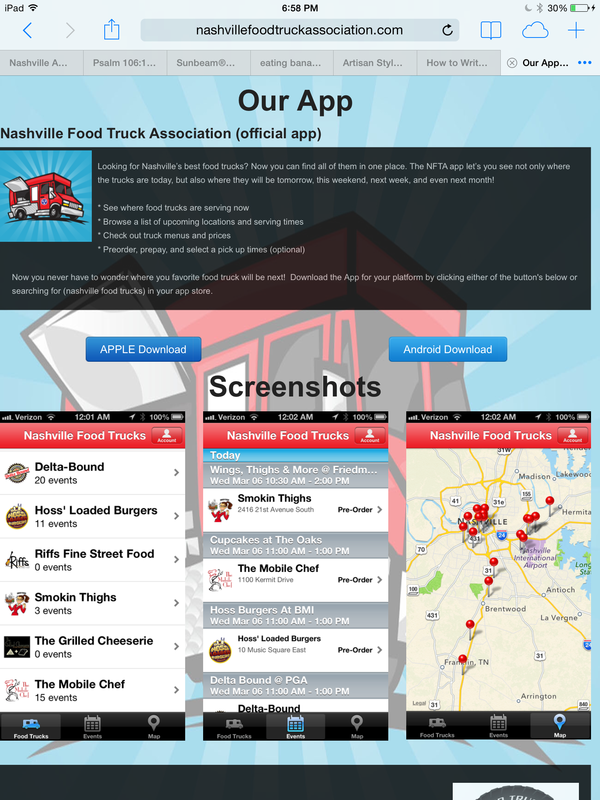 You can get the App by going to their website nashvillefoodtruckassociation.com click on our app, then choose Apple or Android. I hope you enjoy this App as we support local business and keep our dreams alive!